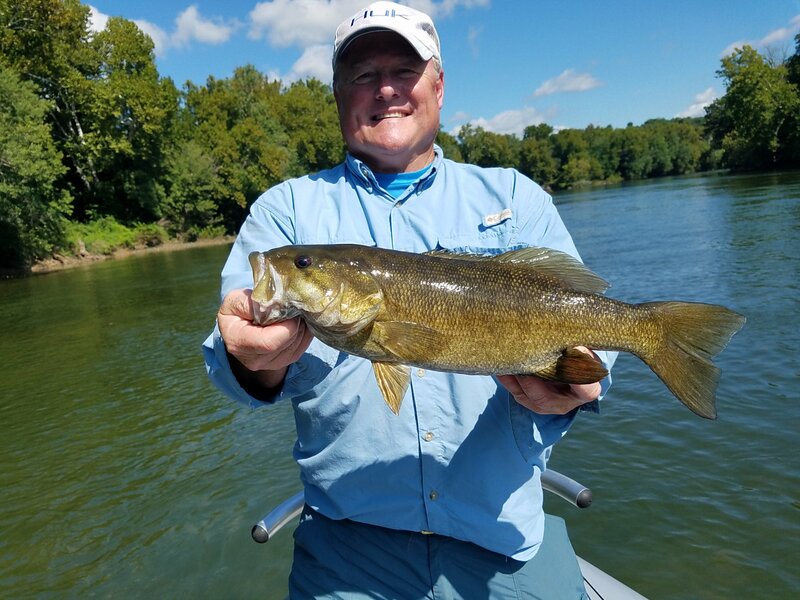 Two person Guided Smallmouth Bass Float Trip on either the Beautifull and Scenic Potomac Or Shenandoah Rivers. You personalized float will consist of targeting Smallmouth Bass along with many other species. You’ll have the opportunity to fish places rarely fished by other Anglers. You guide will skillful maneuver the raft through a series of intermediate white water, slow and fast pools full of the Small Jaw habitat. Isolated rocks, ledges submerged grasses, semi-aquatic plant life, down trees, runs, shoots, lanes, waterfalls and Edie’s are just some of the water topography you’ll be able to explore with you Fly Rod or Conventional Tackle. Water and soft drinks will on the water. Shuttle back from the river.